For a minimalist feel and stylish look, the Series 8 range is the perfect choice. It is characterised by its 8mm thick glass, ultra-slim hinges and a chrome horizontal handle for a designer touch. 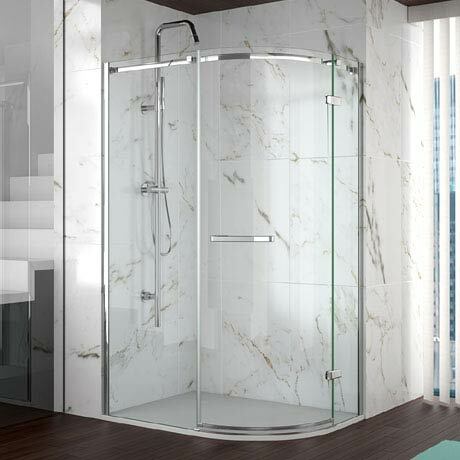 This single door offset quadrant enclosure is beautifully curved and offers a spacious showering area. Each glass panel is treated with Mershield Stayclear, this protective coating ensures the glass maintains its sparkle for years to come.